Our structural engineering firm can give you the best quality and value for your Toronto project. When you have a project in the works, some of the most difficult decisions are made before any ground has been broken or any machinery has been moved to the site. 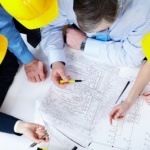 One of the most important choices that you can make is which structural engineering firm to choose. Good structural engineering firms can make all the difference in terms of safety and cost when it comes to the end result of your project. Our team at Belanger Engineering recognizes the importance that a structural engineering firm can have on the end-result of your project, and we will strive to prove to you that we are the best choice for the job. At Belanger Engineering, we seek out the safest methods in which your structure can be built while still meeting the demands of your budgetary restraints. Because we are a smaller company, we know how important a budget is and will work hard with your team to ensure that what we quote to you is what you will end up paying in the end. Additionally, we know you will enjoy working with a more intimate structural engineering firm that not only takes your concerns seriously, but also enables you to work with everyone from the firm on a regular basis. Our structural engineering firm endeavours to provide our clients with the best work that we can provide. We will work continuously in order to give your project the best results in safety, stability and materials used. When you’re looking for a quality structural engineering firm for your Toronto, Ontario project, look no further than Belanger Engineering. We would love to help you with your next structure. At Belanger Engineering, we are proud to be one of the structural engineering firms serving Toronto, GTA, Mississauga, Markham, and Ajax, Ontario.